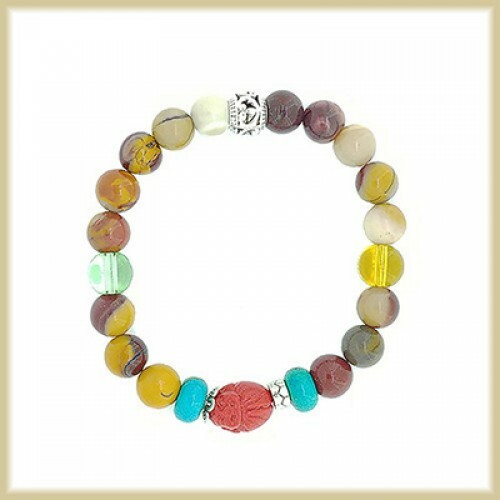 Healing Happiness Bracelet made for Slow Aging, Health, Luck. MOOKAITE JASPER - SLOW AGING & HEALTH Mookaite Jasper has the beneficial energy in slow aging. They are also helpful to assist healing generally. 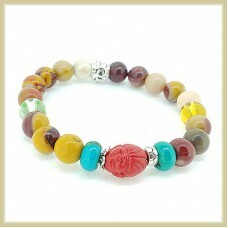 A joyful stone that enhance happiness. Boost one's confidence & protection. Enhance one's luck & assist in speech. The energy of this stone may bring an increase of happiness & wealth into your business. Also a stone of transformation.